Gorgeous watercoloring with baby wipes, Sandy! 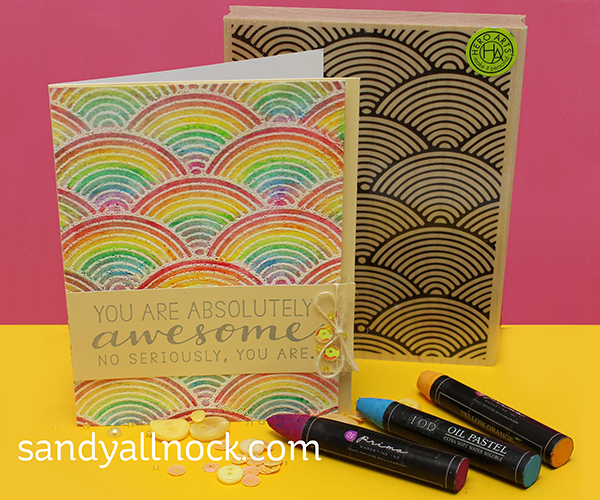 Just love what you did with that background stamp!! Thanks, Sandy, for the beautiful technique with the oil pastel crayons! I’ve never seen this before and it’s a great application of the coloring method. Very nice! The pastels look like fun. I think the Antique Rose stamp is my favorite. 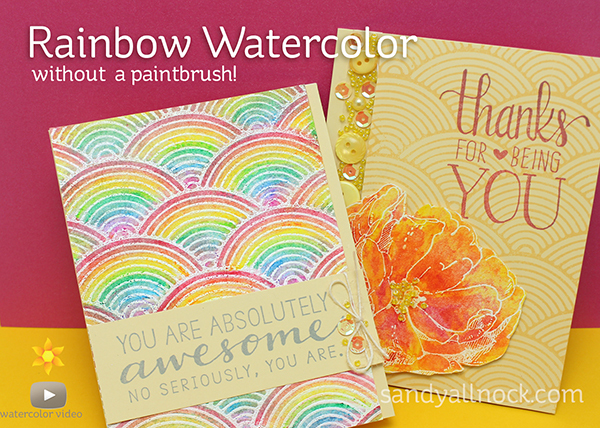 Love how you used the pastels and your cards are great. Thanks. Your flower on the button card is a stunner! and I really do like that sentiment! Thanks for 2 lovely creations today. These are beautiful!mi love the rainbow one! what fun, the oil pastels. i haven’t played with mine for years, YEARS! that’s gonna change, thanks to YOU! loved your cards of course! you give the best tips and inspirations. Thank you for sharing. Such pretty cards, so vibrant. A multitude of rainbows. How wonderful! Beautiful cards love the rainbows so pretty. Thanks for sharing. Sandy, I love this technique! 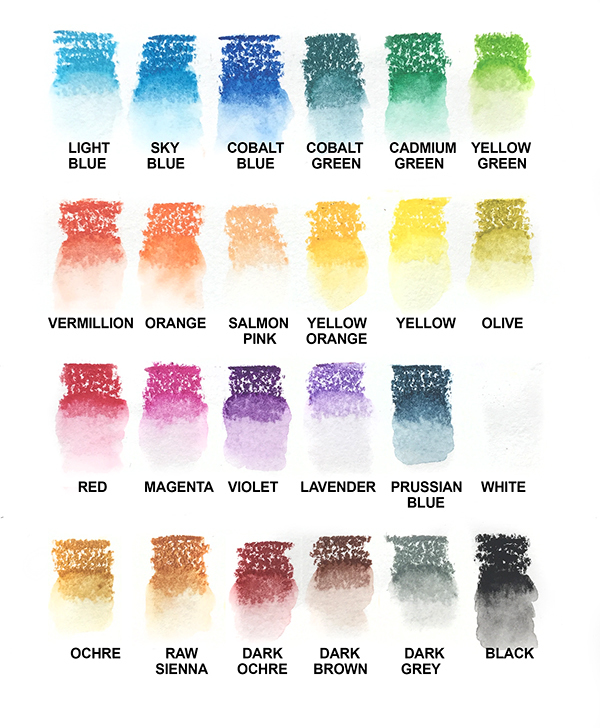 I have an (old) set of oil pastels knocking around here–do they dry enough/set up enough to put through the mail? I love these cards, and you’ve (again) made it look so darn easy! Fabulous! What a fantastic technique. Thank you for providing the video. God bless you. Pretty and Pretty. They are both outstanding. Thanks for sharing. Awesome cards, video and new release! Lovin’ it! Thanks for the chance to win!! Very cool technique! I have an oil pastel screaming for attention. The brand is not the artist one for it is part of a Hello Kitty art set. =) But maybe it will work just the same. Your awesome! You have inspired me to do more art in my scrapbooking. Thank you. Love that you used a different medium! Thanks for encouraging us to try new things! Just beautiful, Sandy. And thank you for such a wonderful video. I really appreciate the care you take when you teach techniques. Your rainbow background is gorgeous. (But if you want to start a rainbow with yellow, I say, “why not?” Do whatever makes you happy! Blame me, I can handle it! lol! Wonderful creativity & inspiration. Have a BEE-utiful day! You did a fantastic job. Lots of patience on our part, but so worthwhile. I love your cards.the colours are wonderful. Great technique with the oil pastels. I need to get some now so I can try it to. Thanks for sharing. I would have overlooked that background stamp. You did two smart and pretty cards with it. Its always fun to see a watercolor technique. Oh what fun. My elementary art students would love to do the rainbows. Love your cards! Especially the “sunshine” one! So pretty!! Wowsers! That is so awesome! Love both of your cards. I can’t wait to try this new technique with the Prima Oil Pastels. The video was very helpful. Thank you for the video which inspires one to try the new Prima Oil Pastels. Both cards are beautiful and your instructions are clear. Love this!!! Thanks for the video. I have just gotten the Prima pastels.. Excited to play now! Awesome cards! 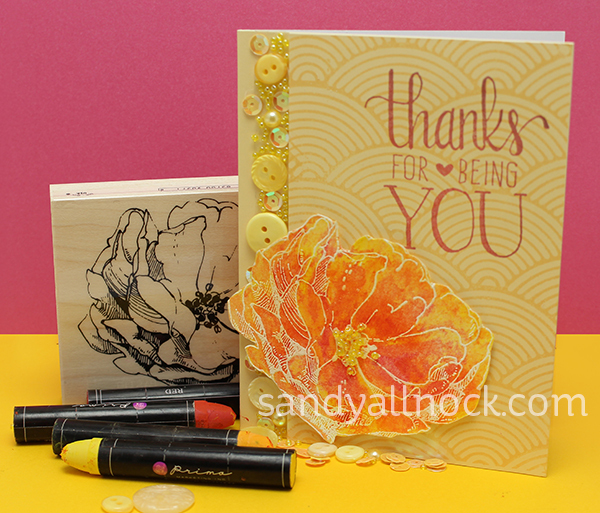 Love your use of this background stamp! Great idea Sandy. I have those same mediums but never used them in this way before. Thanks so much for the ideas, really appreciate it. Hugs. Love the addition of the buttons and sequins. Thanks for the video! I have never seen the prima oil pastel crayons but they look like so much fun to play with they are now on my wishlist! The cards are so great and the background stamp is on my wishlist too! Love the colors on the flower and the mix of buttons, sequins and beads!!! Great use of mixed media, love it!